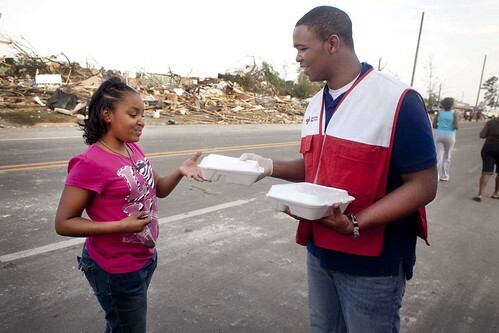 American Red Cross workers continues to help those impacted by the August 7th tornadoes that hit Northeast Wisconsin. 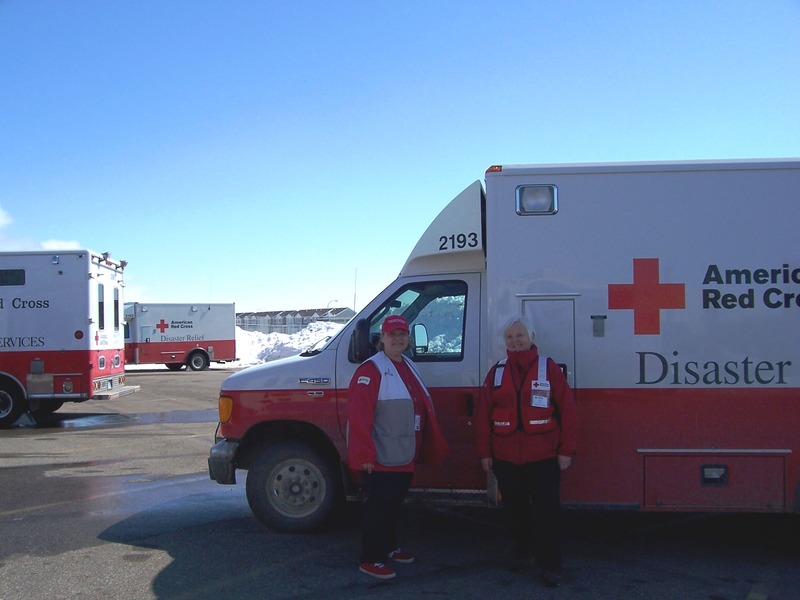 Over the weekend, the Red Cross sent two mobile feeding trucks to the communities of Wrightstown, Freedom, Appleton, Hortonville and New London. These trucks had water, ice, snacks, sandwiches and gloves for our disaster responders to distribute to those in need. In addition, we had our health services and mental health professionals going door-to-door to offer their services. We also had items including teddy bears and books to help calm and comfort children impacted by the storms. 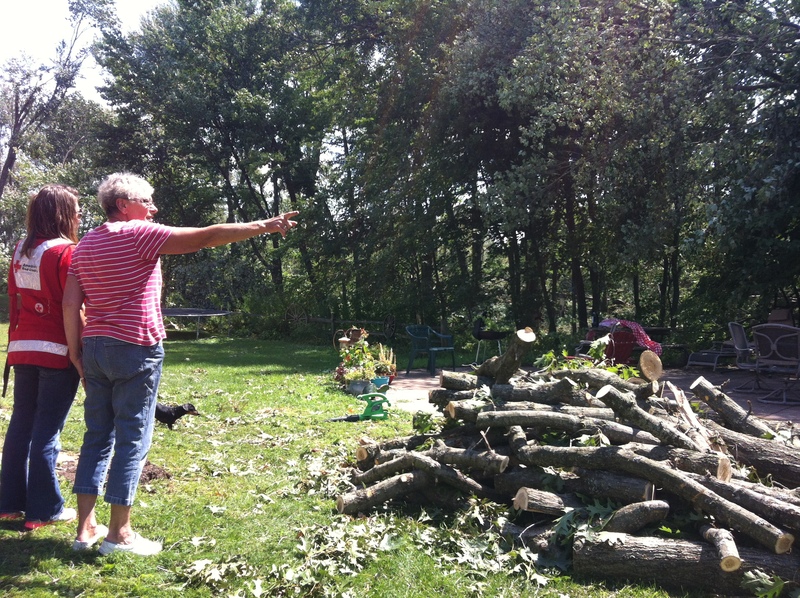 Char Martinson shows Mallory, Red Cross worker, the damage an f2 tornado caused to the back yard. Serving 6,317 meals and snacks to those impacted. Distribution of 8,000 pounds of ice. Three shelters open (Wrightstown, Appleton and New London) for people to receive water, food, ice, take showers, a place to stay, and a place to charge electronics. Two mobile feeding trucks were in impacted communities delivering water, ice, snacks, sandwiches, and gloves. 75 Red Cross workers responding to those in need. When walking the storm ravaged neighborhoods, it was easy to see neighbors were helping neighbors and the whole community pitching in. “That’s why it’s so rewarding to drive into communities with the Red Cross supplies and a shoulder to lean-on to help people start recovering,” stated Jody Weyers, a Red Cross responder. If you need help due to storm/tornado damage throughout Northeast Wisconsin, please call 1-800-236-8680 for assistance. Disaster teams are ready to help you with your immediate emergency needs and we are turning our attention to long-term recovery. To view pictures of our response efforts please click HERE.